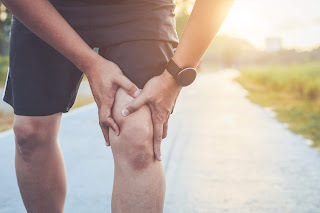 Tonicity Fit Blog Central: Knee Pain? Sarah at Tonicity Fit in West Chester gives her analysis on this growing issue. Knee Pain? Sarah at Tonicity Fit in West Chester gives her analysis on this growing issue. One of the most common aches and pains that I hear about is knee pain. Most of the time, I speak with people who have injured their knees due to overuse. Overuse can be a result of over exercise; however, it can also be due to an imbalance somewhere else within the body. 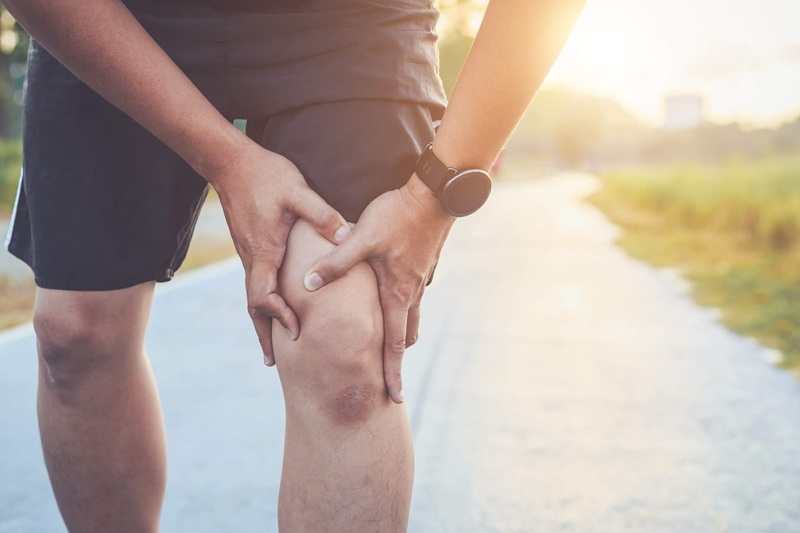 Because I am seeing an increased occurrence of these knee issues, I have decided to address some of the imbalances that can cause knee pain and how they can be addressed. If not attended to, these imbalances can lead to injuries of the ligaments and tendons, and ultimately require surgery to be fixed. The pelvis is comprised of three bones that come together to form the hips, and the femurs are the large bones that attach to the pelvic area to form the parts of the hips that move the legs. 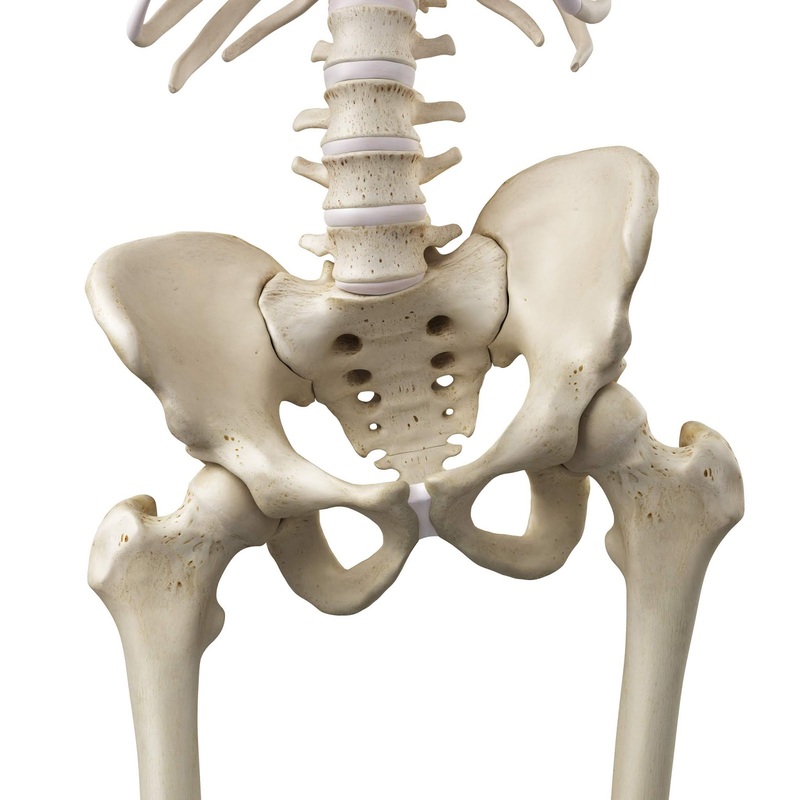 In order to move the hips, the muscles surrounding these bones must contract and release to facilitate that movement. The glute mead attaches to the ilium section of the pelvic bone and the greater trochanter of the femur. This muscle acts to abduct as well as medially and laterally rotate the hip joint. All of these functions are necessary for walking and running and rely on healthy functioning of the glute mead to remain optimal. Glute mead issues affect the knee joint in two major ways. Imbalance in glute mead strength and tightness will cause the pelvic to tilt laterally. 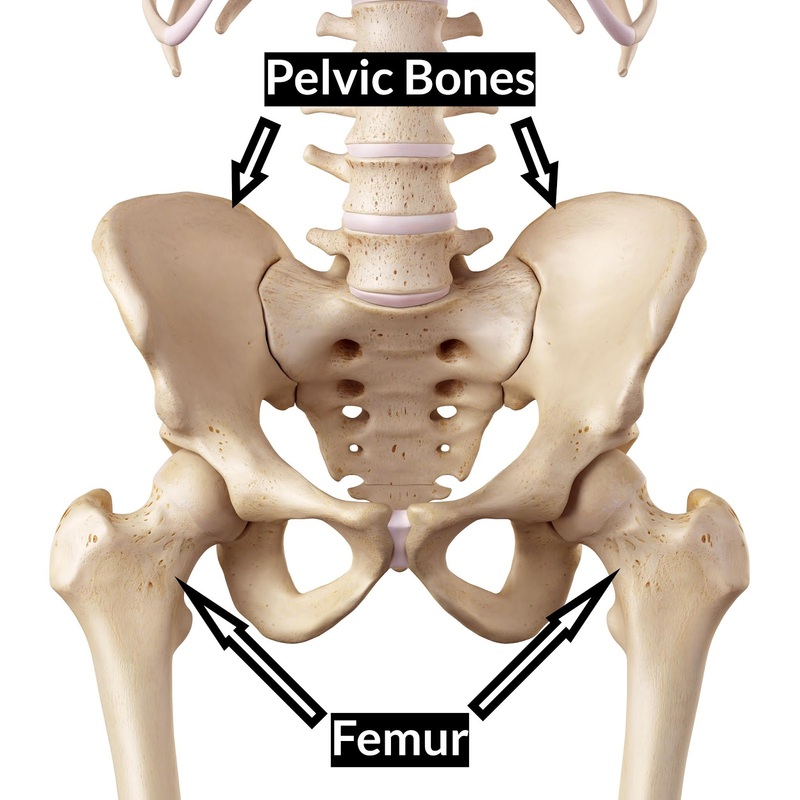 The pelvis will raise too high on the side of the weakness and drop low on the side of the tightness. When a hip joint constantly flexes and extends with a glute mead imbalance, the femur rotates internally and cause uneven pressure and strain on the knee joint. A properly trained exercise professional should be able to test the integrity of the glute mead muscle. If I am assessing a prospective client with knee pain, I will undoubtedly assess the strength capabilities of the glute mead muscles before assuming that there is a structural issue with the ligaments or tendons. If glute mead weakness exists, I will incorporate specific exercises to strengthen this muscle within the exercise program. This is an important imbalance to detect, because it can also become the cause of low back issues and eventually shoulder injuries. This is a concept that will likely be addressed in a later post. The Iliotibial band (IT Band) is an extremely strong fascia running down the outside of the leg. IT band tightness is a common ailment that I see contributing to knee pain. Although IT band tightness is often detected, it is rare for the root cause of this issue to be addressed in the proper way. Techniques such as foam rolling and direct stretching of the IT band are frequently utilized methods attempting to loosen the fascial tension. Although this might help a little, it is unlikely that these tactics will be a long-term solution to the problem. The tensor fasciae latae (TFL) is a muscle that works with the glutes to abduct (move away from the body) and medially rotate (turn in) the femur. This muscle is connected from the hip to the femur through the iliotibial band. Conversely, the Glue max muscle is absolutely the strongest hip extensor (pushing the leg back) and lateral rotator (turn out) of the hip. 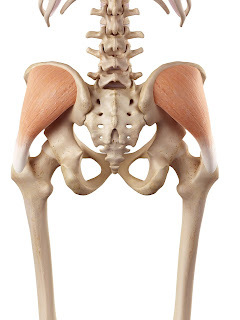 The glute max attaches to the back portion of both the hip bone and the lateral (side) portion of the femur, where it also connects with the IT band. 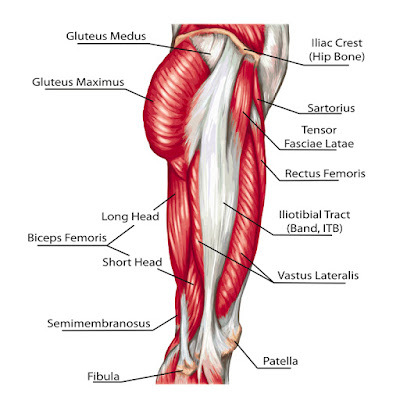 Paired with the TFL and glute max, the lateral quadricep muscle also connect with the IT band. This muscle is a powerful extender of the knee joint. 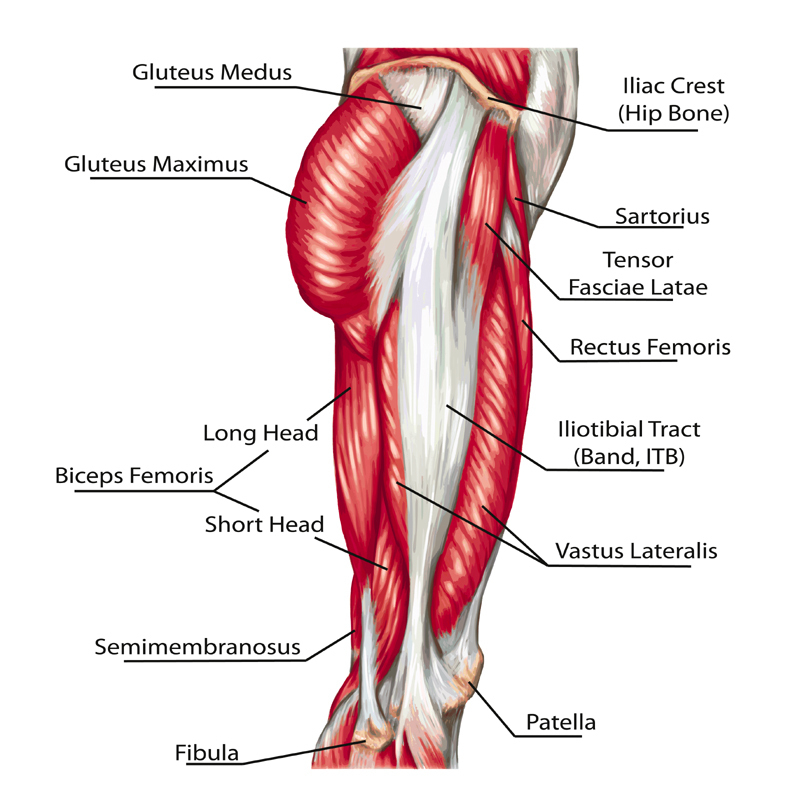 I regularly see an imbalance in these specific muscles, resulting in the tightness of the IT band. Most commonly, I assess prospective clients with tightness in the TFL and lateral quadriceps that is paired with a weakness in the glute max. This imbalance literally causes a train wreck for the knee joint by rotating the femur in a position that offsets the patella (knee cap). OUCH! So, why isn’t foam rolling the number one solution? Because rolling a large foam structure between the ground and body weight against a piece of fascia that can withstand a thousand pounds is NOT balancing the muscle tissue. Each muscle that innervates the IT band needs to be addressed separately, some with stretching and others with strength training. The rolling and stretching needs to happen on a smaller scale to directly target the tight muscles that connect to the IT band. It is the muscles that cause the tightness, not the fascia itself. Often, smaller structures such as a tennis or lacrosse balls are more effective at reaching the tight muscle fibers and releasing the tension. It is much more productive to stretch the muscles causing the tightness rather than the fascia that will not respond. Paired with stretching techniques, strength training needs to be implemented for the areas of weakness. I often assess this weakness in the glute max muscle, which is most effectively activated by moving the hip joint against resistance through full flexion to extension movements. Ultimately, there can be many causes of knee pain, but these issues seem to be the causes that I see most often. As always, it is important to speak with a trained medical professional before partaking in any exercise program. It is also important to seek the advice and guidance of a trained exercise professional to help manage these imbalances and help you reach your goals of pain-free positive health.